Customer experience is the new competitive battlefield. This is where Amazon slaughtered Ebay and Chubbies Shorts won against Birddogs. Users are becoming wary of the beaten to death marketing techniques, thus hampering their experience. This article talks about taking a fresh approach to improve customer experience, to effectively retain, retarget and engage users using browser notifications. Amazon’s personalized recommendation accounts for 35% of their conversions. And that is huge. What they do is track the breadcrumbs left behind by users to provide them with a bang on customer experience. With all the information to back them up, they communicate with their users with a personalized approach to retarget their users effectively. It is their ability to communicate at the right time with the right context that makes them seem more human and less robotic. While this is definitely inspiring, I also understand that there is only one Amazon and not everyone has the muscle and might to create a technology stack like that, but the key is the journey towards attempting that level of personalization. It’s not about how close is your marketing stack to Amazon but whether or not have you started on the journey towards contextual engagement. Only 1 in 5 marketers are hinging on retargeting and dedicating a budget to it. Here is a glimpse of the Shopify e-commerce forums. 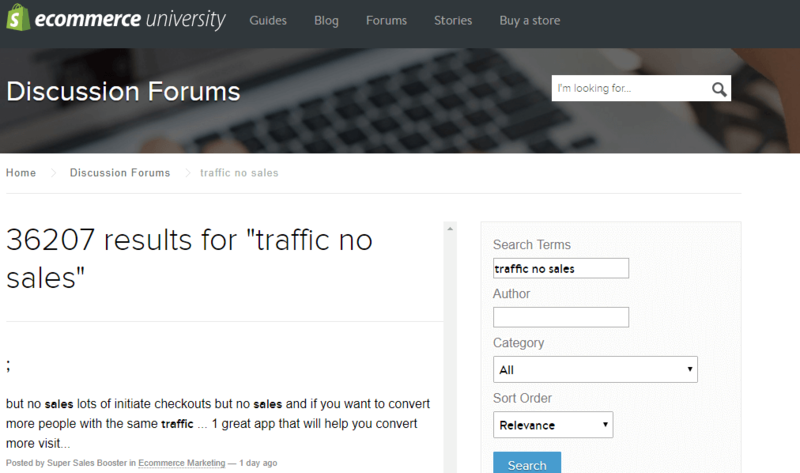 One of the most frequently asked questions remain - No sales despite high traffic. Display Ads start working for marketers when they start hitting a scale or when the audience is sizeable. This obviously works on the basis of the conversion pixel on the website. For rest of the two channels you need to have a ready marketing list and only if the user is a part of the list, you could retarget them by sending them an email or a notification. The question, in that case is, how can you build an ever-growing marketing list of subscribers? Like the other day, I stumbled upon this amazing footwear store. But just as the store loaded, they greeted me with an email subscription pop-up. There was, of course, no way I would share my email address without even knowing if there is anything of interest to me. I went through the store added a few pairs to my cart. 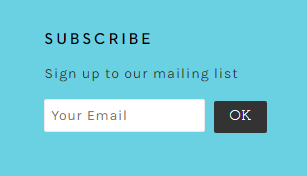 Once again prompted to provide my email address to subscribe to their newsletter, and I chose to ignore it. I am already jumping loops to unsubscribe to emails I had earlier subscribed to. I was definitely not looking for promotional emails to further pile my inbox. Just like me, not everyone who comes to your website would be willing to give out their personal information without seeing any value. I audited a bunch of Shopify stores. Here is a classic problem - Businesses like Samanthasona invest a lot of time, energy and resources to drive traffic but when they ask for an email address without telling users what’s in it for them, they end up leaving money on the table. It’s only natural that users would hesitate to give out their email address without seeing Clear-Crisp-Cut out value. Rest assured that thousands of businesses are yet to start their journey towards contextual marketing. Whereas a pop up like the one above, luring me to subscribe to avail $50 off, I would have thought about it. Hell! I would have been bribed into giving out my details. Reminds me of the time I opted for Crov’s notifications without giving a second thought because of the value I would get. Not only did it prompt me after I had spent a considerable amount of time on the website, it also told me the benefit I would get out of it. Once you get the knack to make users subscribe, you can then get your retargeting strategy in place. Users are not comfortable with sharing their phone number or email address as they fear it might be misused. Until they trust you, it's not easy to get your hands on their personal information. This is one of the reasons why it is easier to get users to subscribe to push notifications. The opt-in rate of web push notifications is 30X higher than email. Has it ever happened that your friends were looking to buy something on your laptop and then in the evening when you browsed the web, all you could see was ads for the product they searched for? I’ve been there. And it is so annoying! Cart abandonment is one of the biggest challenges that an e-commerce business face today. By now you would know that not all users convert on their first visit. 75% abandon their cart with an intent to return. 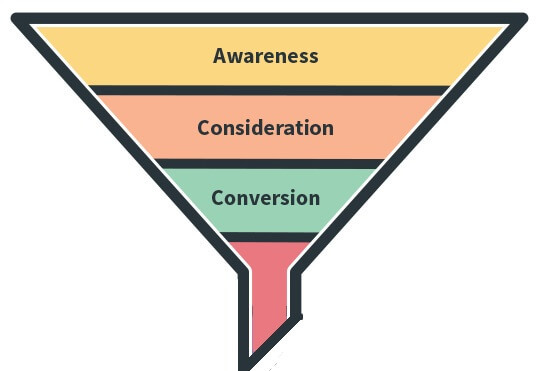 With the right retargeting strategy, you can reduce the time to conversion. Browser notifications help marketers solve Cart Abandonment in the most efficient manner. Where email and display ads fall behind, browser notifications have performed extremely well. The visual in the notification help them recollect what they left in the cart and lures them into converting. These triggered, automated personalized notifications make sure that users are reached in real time with relevant sequential notifications. 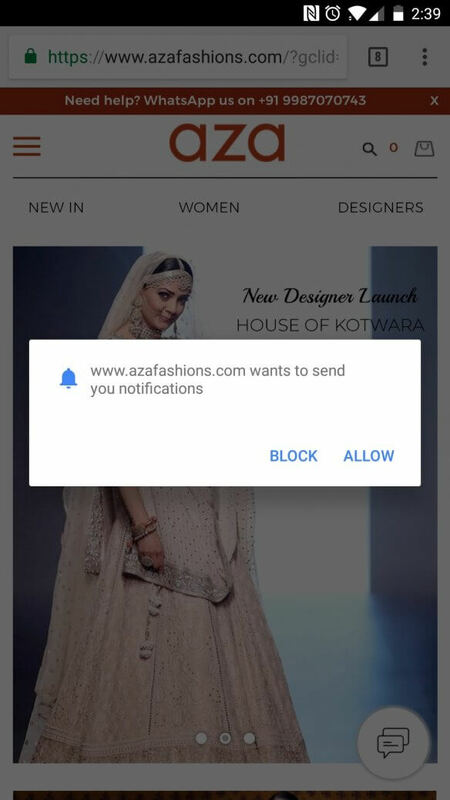 Know more about ecommerce retargeting using web push notifications in this detailed guide. Plummeting Email CTRs - Users subscribing to your emails, doesn’t mean open rates. There are high chances that it might get buried under other emails in the promotional folder. The users have to spot your email in the crowd and then ‘consider’ clicking on it. The attack of the AdBlockers - Display ads do not reach as many people as it used to, with the advent of ad blockers. That's all your effort going for a toss. 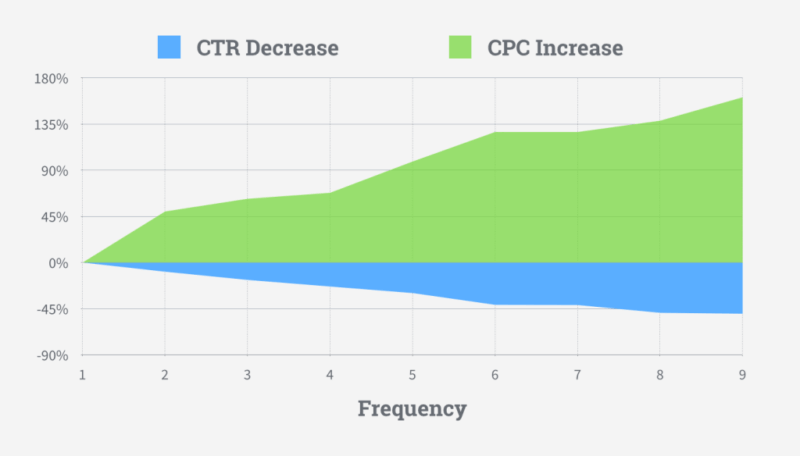 Driving direct response from display ads is difficult considering that it just manages to receive a CTR of 0.05%. Users become used to receiving so many ads, that 86% start ignoring them altogether, leading to what we know as banner blindness. It also becomes extremely tricky to choose relevant websites that can display your ads. What it also matters is that you need to make sure your ad is shown to them when there is a maximum likelihood of getting conversions. Users have become like sitting ducks. Central EU e-privacy directive explicitly states that it is necessary to obtain consent from users before tracking. You might end up targeting the wrong person or someone who is not at all interested in buying your products. And this is clearly a waste of money and effort you put in. Oversaturation of third-party cookies also increases the load time of websites, and this, in turn, hampers the user experience as well. Want to recover abandoned carts and drive repeat sales? Book A Demo and we will create a tailor-made push notification abandonment strategy for you! 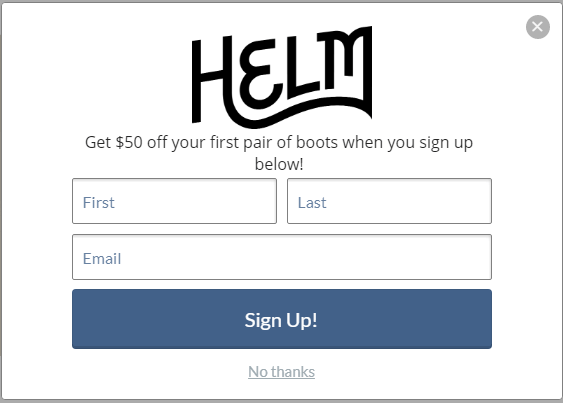 Once users add to cart, you know they have an intent to convert. They are at the tip of the middle of the funnel. All they need is an extra nudge. Reach out to them before they opt for your competitor. What is the use of retargeting if you are not catering to their interests? While adding their name makes it seem exclusively cut for them, the content should reflect that as well. For instance, if I browse for a shirt to gift my dad and I am retargeted with ‘Hi Pravya, would you like to check out skirts that are just in’, it would not bring the desired result. For users who visit a particular page or add to cart, communicate to them with relevant content. To make sure that you are reaching out to the right users, segment your users according to their activity and interests. Did the users come to a product page and leave? Target them with products on the product page. Did a user add a blue t-shirt to the cart? Flash them the exact product. Chances of conversion are higher if they get to see the product multiple times. I have received emails reminding me about the product in my cart after 3 days. By then, either my plans would have changed or I might have brought the same product on another store. It is critical to trigger a communication at the right time. You never know what might happen in between a user abandoning the cart and you retargeting them. The sooner you reach out to a user after they perform an event, the faster they convert. Drip notifications ensure that the users are engaged at regular intervals. You know your customers best so you can set out different durations to reach them. But ideally, a user should be targeted in 30 minutes, when the action is still fresh in their mind. The second nudge can be after 2 hours of cart abandonment. And the third nudge one can be after 24 hours. You don't want to end up paying more for an ad that is not only getting lower clicks but also creating a bad customer experience, do you? Advertising Research Foundation found out that if a user is shown the same ad 40 times or more in a month, it could turn out to be counterproductive. AdExpresso analyzed 500 ad campaigns and arrived at these findings - when the frequency increases, the campaign performance decreases and the average cost per click shoot up. If a user is interested in buying a product, they would have converted after you reached out to them a couple of times. I agree that if the customer gets to see more of your product, they might convert quicker, but that doesn't mean you bombard them everywhere. If they are not interested in buying, imagine the frustration of seeing that product almost every single day! They would end up thinking twice before they visit your store again. You need to put a cap on the frequency and keep refreshing your communication to stave off the effect of creative fatigue. You can change the creative, play around with the colors, swap images, change CTA or change the copy. The idea is to make it look different so that the user sees something new and does not ignore it. When it comes to push notifications for retargeting, you can look at 3-4 notifications to be sent to a user. You can play around with the text as well as the visuals. While for abandoned cart campaigns, it is advised to add the image of the product that was abandoned, a different set of text can be used for each notification. If users are no longer interested to buy, they can easily opt out of the drip by clicking on a CTA that could read ‘Not interested’. Bajaao, received a CTR of 10% with contextual notifications and increased their conversions by 35% leaving email and display way behind. See how it worked out for them! It doesn’t end once a user converts. For that critical second sale, you need to engage them post-purchase. Keep them in the loop about their order, send them other messages relevant to their interests and activity, and make them feel valued. Make sure that you nurture them before they fall into the ‘danger zone’ and their shopping activity starts declining. When you genuinely provide them with the information they want to hear about, they start trusting you. Once you build trust, the chances of future purchases increase. 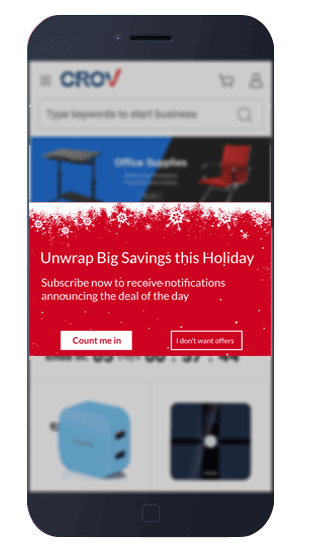 Smart marketers are turning to Web push notifications for retargeting, for their efforts to take flight and to drive repeat sales. With personalized and real-time triggers to back it up, it has become marketers rescue boat. Marketers now convert users after their first sale by engaging them with relevant notifications. Some of the campaigns include cross-selling, encouraging users to write a review and asking them to refer a friend for sweet deals. Know all about e-commerce retargeing using web push notifications in this indeapth guide. Let us know how you retarget users in the comments below.